Chapter One nursery in Oman has been purposefully designed to meet the needs of the children within them. Based in Shatti Al Qurum, and under the supervision of the Ministry of Social Development (MOSD), our nursery consists of three wonderful areas. The rooms, which accommodate different age groups, are equipped with resources to suit their age and stage of development using lots of sensory and heuristic play materials. For the majority of the day, they also include core resources like painting, water, gluing etc. so children can begin to make choices about what they want to play with. 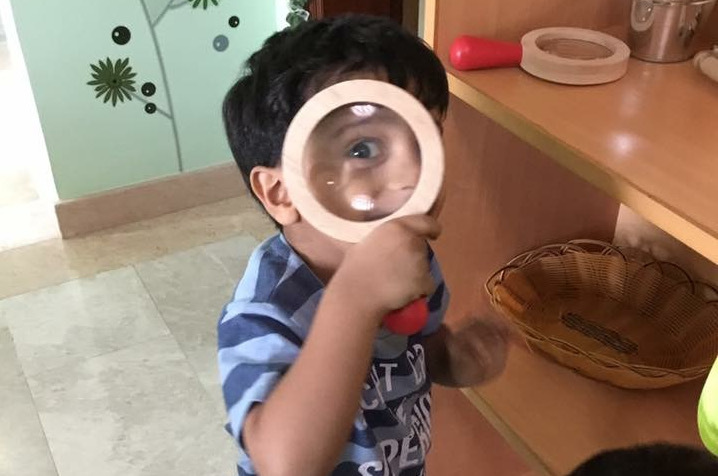 Busy Bees – Our little ones starting to explore and collect and learn new learning experiences from 24 months to 38 months. We look forward to providing you with extra curricular activities in the near future. Morning snack – fresh fruit and milk/water.